Becoming a parent exposes adults to deep emotions of which they may have only dreamed before holding a baby in their arms. One of life’s great joys as a parent must surely be to try and convey some of these feelings to our children, who in turn love us so unconditionally from the moment they are born. 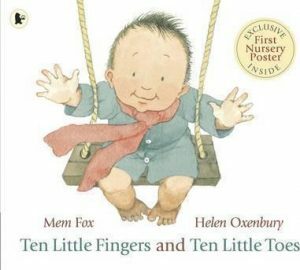 Ten Little Fingers and Ten Little Toes is a beautiful, loving picture book for babies and toddlers, and comes as both a board book and paper picture book. Illustrated with sweet and endearing illustrations, the story takes baby on a journey across the world, as they see all the babies born to different circumstances, across different cultures, with one thing in common: a parent who loves them. Ten Little Fingers and Ten Little Toes finishes with a little ritual that allows a parent to kiss their child before closing the book, reinforcing the love that is felt across each page. It’s a wonderful story to help a child feel not only their sense of belonging in their family, but an appreciation of the diversity of families and love around the world. 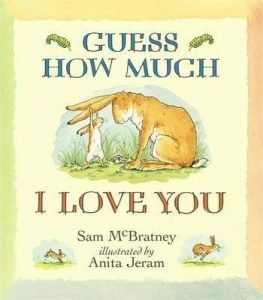 Guess How Much I Love You has been such a phenomena that it was turned into a popular children’s cartoon, a soft toy, and more. At its heart, it is simply a sweet tale of a father and child bunny who begin competing about who loves each other more by measuring feats of devotion: who can jump the highest, who can reach the furthest… needless to say, the father bunny always wins! The story ends with the father and child bunny loving each other to the moon and back, which as all children and families can agree, is possibly the furthest conceivable distance that any love could stretch! 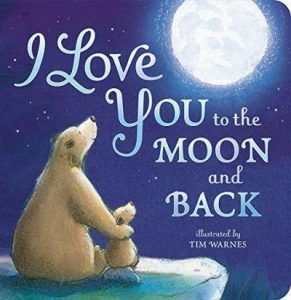 I Love You To The Moon and Back is a simple rhyming board book that would suit younger readers, and is particularly suited to putting children to bed with a sense of love and belonging. In loving verse, a parent bear tells baby bear of the many ways that he or she is loved. 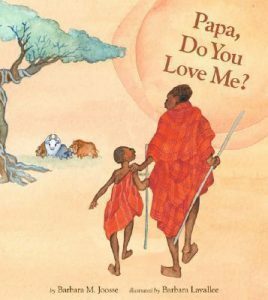 This book is a wonderful way to set a child into dreams of an evening, with feelings of warmth generated from the enduring love of their parent. Partnered with approachable illustrations in nighttime-friendly hues, the story would be well placed as part of a regular bedtime ritual. Mama Do You Love Me? became a best-seller after striking a cord with many mothers around the world, who sought to reassure their child that they would love them no matter what. 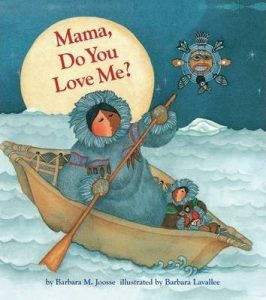 In the story, a little Inuit child repeatedly tests her mother’s love, asking if she would love her even if she did naughty things, scary things or hurtful things to her mother, or others around her. Each time, the mother reassures her that even if she didn’t like the things her child might do, she would always love her, no matter what. Mama Do You Love Me? Was followed by the fatherly equivalent, Papa Do You Love Me? which takes a similar form, but with a father and son from the Masai tribe in Africa. The illustrative style of both is quite different, but the idea behind each remains the same: that a parent’s love is eternal, unchanging and hopeful, and that this love sees through temporary behaviour to the beloved soul within. Both books are a lovely assurance to children that even when they might test their parents’ boundaries, or parents and children may share moments which feature disapproval, correction or disappointment, the love between parents and children is enduring and independent, and the child can rely for life upon this unconditional love. Koala Lou is loved by everyone in the bush. Her mother tells her how much she loves her every day. But Koala Lou notices how busy her mother is, and wonders if she loves her enough. So Koala Lou decides to enter a tree climbing competition in the Bush Olympics, planning to win the competition, and in doing so, her mother’s greater love. 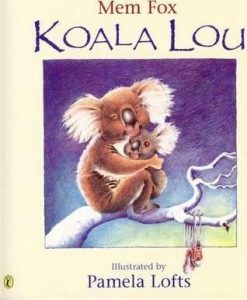 Koala Lou is a simply told story that explores the often-complex emotions of children feeling loved, and feeling a need to prove their worth; to earn the love that they receive. Despite Koala Lou’s mother always expressing her love for her child, Koala Lou becomes convinced that winning the tree-climbing competition will cement it forever. The twist in this story is that Koala Lou does not win the competition that she hoped would prove her love – she comes second. Even though she tries so hard, and wants so much to win, it simply does not happen. But in that disappointment, Koala Lou receives a hug from her mother and realizes that her mother’s love does not depend upon winning a competition: it was there all along. 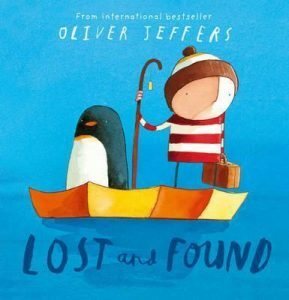 Lost and Found is a sweet story about a friendship between a boy and a penguin who meet by chance one day. The boy decides that the penguin needs to be returned home to Antarctica, and they set off on a journey to return him to his home. However, on leaving his friend in Antarctica, the little boy quickly realizes that his travels were rich because the penguin was beside him. Now he has left him in Antarctica, he realizes that he might not have known the best thing for his friend after all. 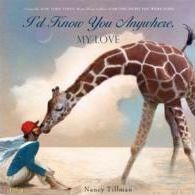 What follows is one of the sweetest reunions in picture book history, and is tear-jerking for its understated innocence. Lost and Found is a wonderful story about the things that matter in love: connection, empathy, friendship, helping… and the beauty of finding someone who resonates with your soul. 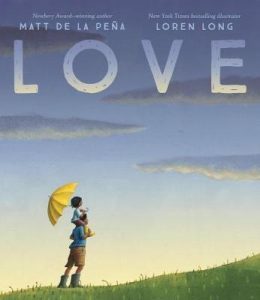 A New York Times Bestseller, Love is an abstract poem of sorts; a creative exploration of a child’s learning about Love, and all the myriad things that Love can be created from. Love, the child learns, is a colour and a smell; it’s a reaction; something we bring with us. It’s a star that leaves a light long after it has burned away. Love is a picture book for older readers. Set in an urban setting, it touches upon the love shared by families, but also communities, and the reader senses, a notion of pulling together in times of grief or hardship. It is a good touch-stone for sparking a conversation about what Love means to the child themselves, and how that Love manifests in small ways that an observant person can notice, cherish and linger upon. 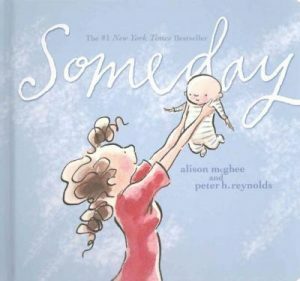 Another New York Times Bestseller, Someday is a lovely sentimental look at the love of a parent for their child as the child grows. Its pages traverse a lifetime, where a parent watches and loves their child as he or she grows from a baby to a child; from a child to an adult; and even into old age, that child always sensing the love of the parent reading, which exists over space and time, and lives eternally in memories. Someday is a real tear-jerker. It is told poetically, with beautiful resonance, and allows a parent to feel the strength of the deep emotions that being a parent can evoke. As for a child, while they may be unaware, to the same degree, of the profoundness of the story before going through the path themselves, it remains a beautifully touching and special story with much beauty with which to create reading memories. I’d Know You Anywhere My Love is a sweet and playful story that allows a parent and child to imagine the child being all sorts of animals – a raccoon, a horse, a bear… and always knowing that beneath the disguise, their loved little one was instantly recognizable simply for being them. The story is a fun and light-hearted way for parents to play with their children, emphasizing their uniqueness and special ‘them-ness’ that only a parent would know. There are also prompts in the text for children to take an interactive role, making animal sounds, which then allow a parent to say ‘see, from the way you roar, I knew it was you!’ It’s a lovely way for a parent to reinforce their delight in a child’s own personality, and for the child, in turn, to expand in the confidence of that unwavering love. This emotional picture book is a love-letter from a grandmother to her grandchild, talking about all the things she imagined about her baby grandchild before he or she was born, and the many moments of pleasure she anticipated, from seeing the baby’s fingers grasp for the sky, to watching the parents’ joy at meeting their child for the first time. 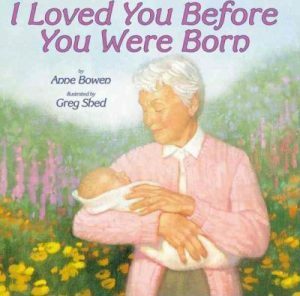 I Loved You Before You Were Born is illustrated with realistic illustrations that linger upon the newborn moments of a child’s life, and as such, would make a beautiful gift from a grandparent on the birth of their grandchild, to be enjoyed over the years as the child grows and understands his or her place in the family. It resonates with great honesty and love, and is told very much from a grandparents’ perspective, all the while emphasizing how very much loved, awaited-for and cherished the grandchild is in the family. Did you like this list? Storyberries also has some great free stories for children about love, including Margery Williams’ The Velveteen Rabbit, Hans Christian Andersen’s The Little Mermaid, Edward Lear’s The Owl and the Pussycat, Oscar Wilde’s The Nightingale and the Rose and The Selfish Giant, and the eternal classic, Beauty and the Beast – please read, share and enjoy ! Header photo by Julie Johnson on Unsplash, with thanks.